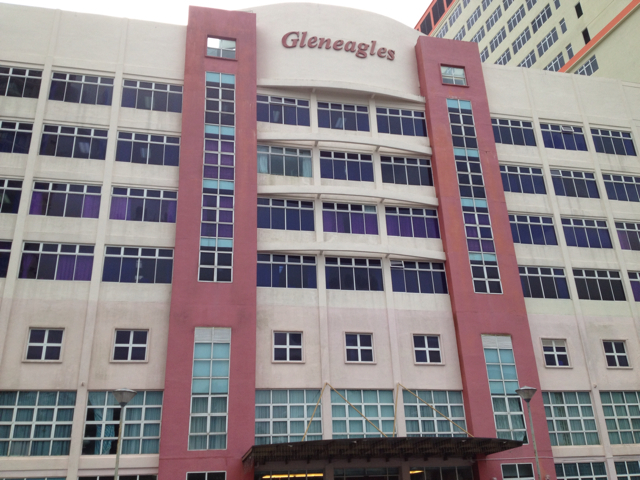 So there we were for Janice's checkup, reaching Gleneagles Medical Centre Penang at 7am just to get a number. The thing about this place was that even though we have an appointment, everyone has to come early to get a ticket number as it is on a first come first serve basis. 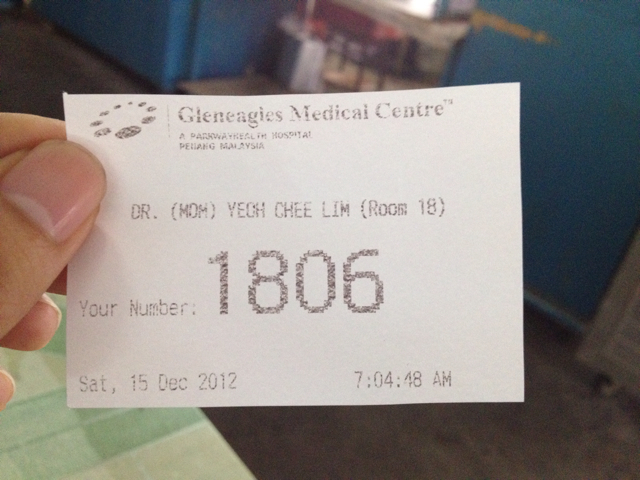 The doctor's office was only suppose to open at 9am for consultation, but we had to come way earlier at 7am to get the number when the registration counter opens. I would have thought that I would be first in line, unfortunately I'm fourth for the day. 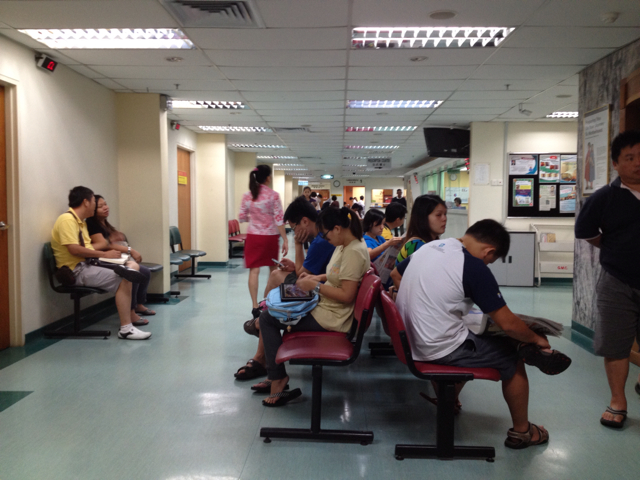 One of the reasons we chose this hospital over the other prominent ones in Penang was the fact it is actually less crowded here. 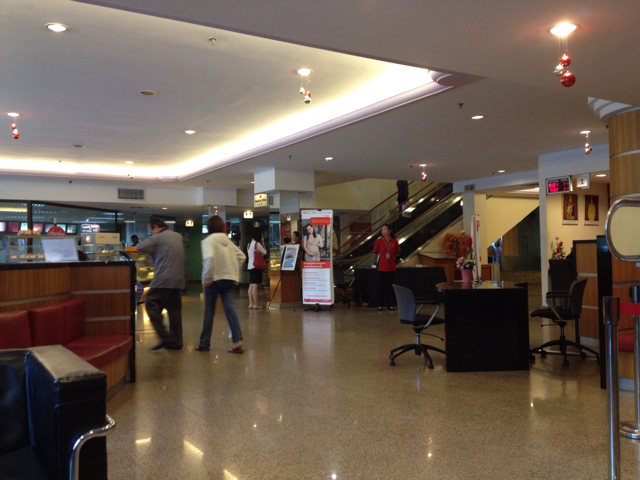 However, compared to KL private hospitals, the ones in Penang are almost always packed with people. Oh, did I mention that even though we collected our ticket number at 7am, we had to wait until the doctor's office open at 9am. That's 2 hours of waiting, and even more waiting after that if we there are many folks who took the numbers before us. Not a very convenient system in my opinion. Do check out the food stalls behind Gleneagles Medical Centre Penang, as they have the usual Penang breakfast hawker food, much better than the food they have in their cafe, at least to me. Okay then, I will be updating further on this post once I get to a computer. Not sure why the photos I uploaded here has been resized, losing its sharpness. Weee can't wait to see ur baby! Wheeee!! I can't wait to see my baby as well. Hehe excited. The kind of anticipation and thrill for the baby...that's sweet. But I totally feel you. I don't know bout the one in penang, but in pantai hospital, most ppl also arrive at 7 plus to get the numbers eventhough the clinics only open at 830am. 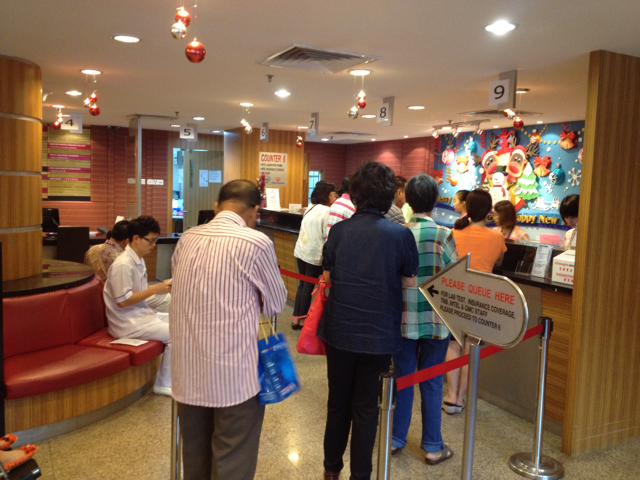 So what happens is if you go at 830am sharp, u still have to wait about 2 hrs or so. Crowd leaves around 10. So might as well go at 930am to reduce the anxiety. Well..., best of check up and good health for Janice and baby.